Researching Company Online Scam DIY: Huge Yield, who is Carl Haavaldsen and Tatiana Toganel, HugeYield.com? When it comes to a potential income opportunity, "due diligence" is always needed, especially when some sort of investment is needed. Previously, I have written a hub on how to research the Internet for information on a supposedly income opportunity, but some have said there are no examples for them to follow. Here, we will test all the techniques and suggestions, and use it to research an opportunity that is supposedly being launched in 2012. Please keep in mind that information can and do change. All results will be presented as they are during late-January 2012.
any names attached to the opportunity as owner, officer, promoter, etc. Keep in mind that as we discover items, they will often lead us to other items of interest, which can be cross-referenced. Is that person believable? What is that person's reputation? Can what was said be corroborated or verified by reputable source? Are any logical fallacies present? First we will research its domain info and see what sort of information we can peel from it. All research will be documented so you can duplicate it yourself. Checking on who.is shows that HugeYield.com has "private domain" by registering through a proxy. The actual owners of HugeYield is unknown. All that we know is the domain was registered on 27-DEC-2011 (yep, it's THAT fresh). Remember, any sort of private registration data is a huge red flag. What are they trying to hide? JustMatrixx@gmail. turns out to be this "Eliott" from Spain, who hosted a bunch of these "HYIP" financial pyramid schemes. 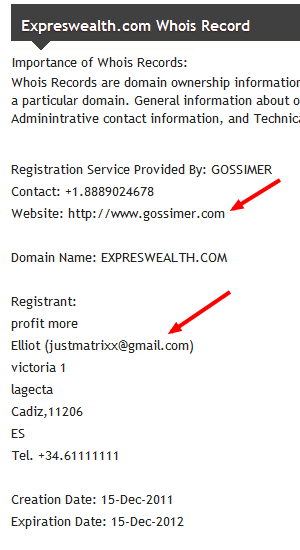 As the same registrar, GOSSIMER, was used between ExpresWealth and HugeYield, and the WHOIS archive shows that that HugeYield was previously hosted on the same webhost as ExpresWelath, BizOpHost, we are quite sure this is the same guy. ExpresWealth seem to be launched only very cently, based on DNS records, a few days before HugeYield. They seem to be related, at least, founded by the same person. However, this is a dead end. Research on the address and name yielded no other clues. Phone number is fake. What can be established is that HugeYield has everything to do with ExpresWelath. Same owner (this "Eliot" from Spain), same template, even the same clipart. If nothing they share the designer. HugeYield, looks identical to ExpressWealth, doesn't it? xopsn.com designs websites to your specs, even if they involve illegal pyramid schemes and such. Once you compare the two websites, you can confirm they are definitely made by the same person: they use the same format, and even the same clipart (same "girl holding up notebook computer and cash" on both of them). They even have the same exact number of buttons across the top: eight (8). The main difference? Color scheme. If you go to XOPSN.com, you'll find that they are a web design house that pumps out template based websites, esp. for "cyclers" (i.e. 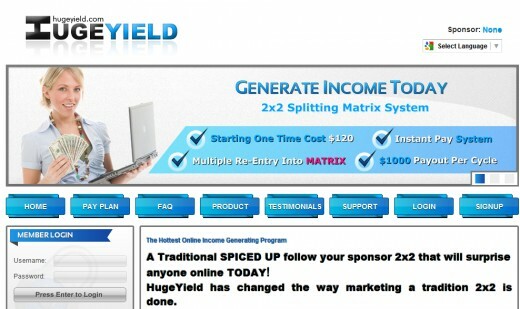 matrix / pyramid schemes) and similar MLM type sign-up schemes. So that's no surprise, and explains the common look and common stock photo. What's surprising to HugeYield is they never even changed the Admin password. So I was able to go into their website using the default password and look through their info directly (and yes, I could have wiped out their website, buy why?) And what's surprising is the "support tickets" are piling up, 250+ and going up steadily. And here's a bit of surprise... The admin claims to be named "Larry Lawrence". Contact address is another gmail address, but the skype ID... autocashpayment, hmmm? Looks like yet another scam. Who or What is "AutoCashPayment"? Researching "autocashpayment" took me to an Egyptian website, where this coder claims to be selling the domain autocashpayment.com, with attached "HYIP" script from GoldCoders.com and hosting. The same coder made several of these domains for sale. Further research on this autocashpayment shows that it was pushed October 2011 on such places such as MoneyMakerGroup by some guy called TopExMoney who seem to be pushing a different scheme every week for past several years and claims to be from the Philippines. As you can see, the scheme was filed under "inactive / dead" merely a month or two later. 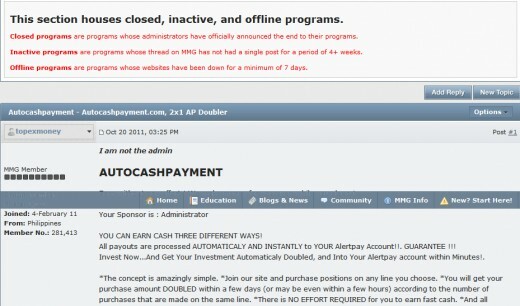 Description of AutoCashPayment on MoneyMakerGroup Forum makes it sound identical to HugeYield and ExpresWealth. As AutoCashPayment died after merely two months, What do you think the chances are for HugeYield (and ExpresWealth)? If you search for HugeYield on Google, you'll yield several videos and whatnot, including an "official" one from the website itself, linked right there on the front page, by "uwanted2know". Search for this "uwanted2know" revealed that this is ID of one Carl Haavaldsen, who seem to reside in Canada. Searching a bit more on Carl Haavaldsen leads to his website, uwanted2know.com, and his own phone number and contact info. Strangely, there's not a word about HugeYield on there. In a different video, Carl Haavaldsen claimed to be co-designers of the HugeYield with Tatiana Toganel (Youtube Link), and claims the owner of HugeYield is Larry Lawrence. Further search dug up that Carl Haavaldsen was pushing something else called "UltaMex" along with Tatiana Toganel as well (Youtube Link) as recently as November 2011. Researching this Carl Haavaldsen reveals extensive history in network marketing. He claims in an UltaMex video that he had been in MLM for 26 years (or so). Searching AdlandPro, a community of MLMers, shows over THREE THOUSAND results with Carl Haavaldsen's name on it, pushing every sort of MLM or scheme in the past decade or two. He seems to switch schemes as often as he switches outfits. Researching Tatiana Toganel revealed that she is heavily involved in MLM / Matrix schemes as well, in companies such as ROI Unlimited, Winalite, TVI Express (well-known scam), and several other MLM schemes. 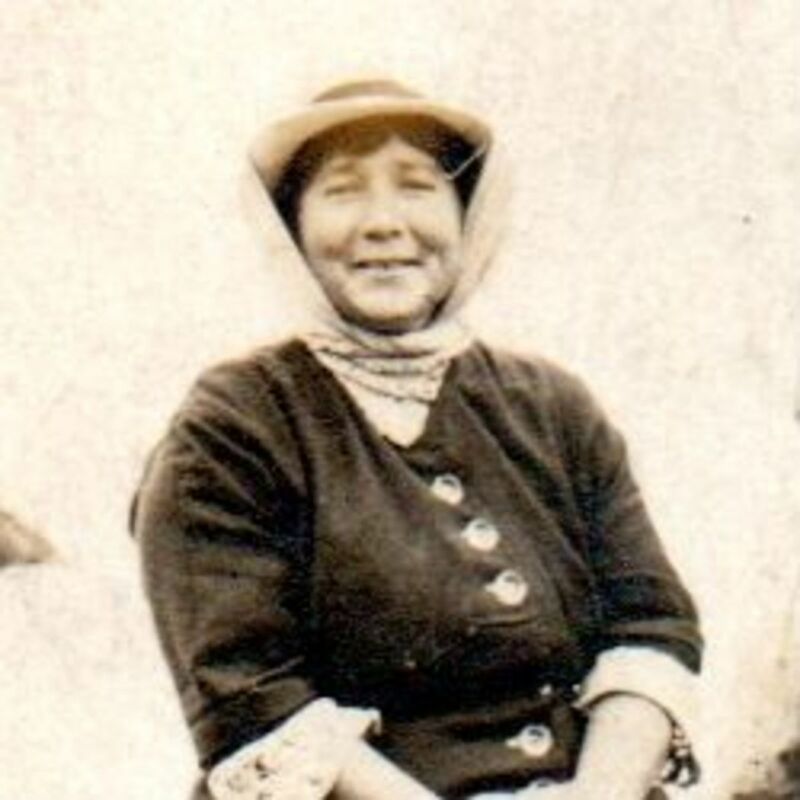 Not as long of a history as often switching as Carl Haavaldsen, for sure, but Tatiana Toganel can't seem to settle down either. What have we learned about HugeYield so far? Remember, facts only, analysis comes later. We have NO IDEA who actually owns HugeYield, except this "Lawrence Larry" (or Larry Lawrence) who's so generic it's impossible to research. The primary pushers of HugeYield, Carl Haavaldsen and Tatiana Toganel, only claim to be "designers", but seem to be very intimately involved, as they are answering member support tickets inside the official website. It is ILLEGAL in most countries for a non-bank (and non-investment company) to accept money and promise any sort of a return, yet there is such a claim: turn $120 into $1000, right there on the front page. The company "comp plan" just says recruit people, fill up 2 different matrices, and get paid. Nothing about advertising either. MLM Lawyers Grimes and Reese stated on their website: " If a program compensates participants, directly or indirectly, merely for the introduction or enrollment of other participants into the program, it is a pyramid." From studying the comp package, it is clear that HugeYield, despite its claim to be "member advertising network", is actually an Internet pyramid scheme. According to its own comp plan explanation, you join (by paying money), recruit other people, and you get paid. That is an illegal pyramid scheme, according to MLM lawyers Grimes and Reese. The additional facts that the website has several shady cousins, no refund, owner ID linked to other failed schemes, owner actual name is hidden and unknown, and prime pushers all "professional" MLM pushers, just confirms this analysis: you should stay away from "HugeYield". Today many people are looking for work at home job opportunities. 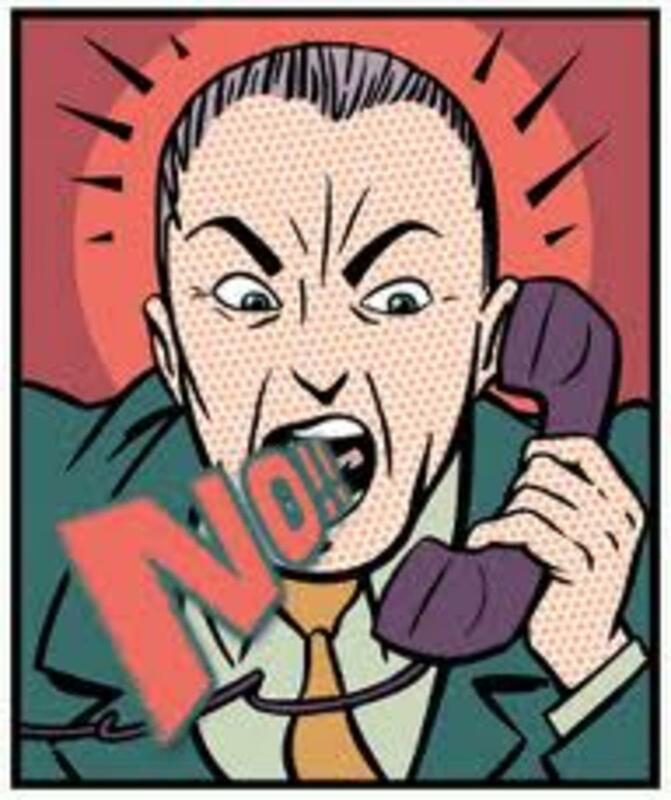 This can be very difficult since many work from home jobs are actually scams. How can you avoid the scams and what are real work from home jobs. Wondering if a Network Marketing Opportunity is good for you? Here are the topics you should to research on, and what sort of answers are good, bad, or outright ugly. Real MLM lawyers explains what makes a MLM legal, and what makes it illegal pyramid scheme. Is your "pet scheme" legal, or illegal? Researching Salary Ranges -- How Much Money Should I Ask? Have received several inquiries from readers in Poland. I am afraid I have no information to share other than what can be found here. After I concluded it is probably a scam I did not investigate further. Hopefully IT experts continue there who care about the losses experienced by Internet users." Semoga para ahli IT terus ada yang peduli terhadap kerugian yang dialami oleh para pengguna internet.